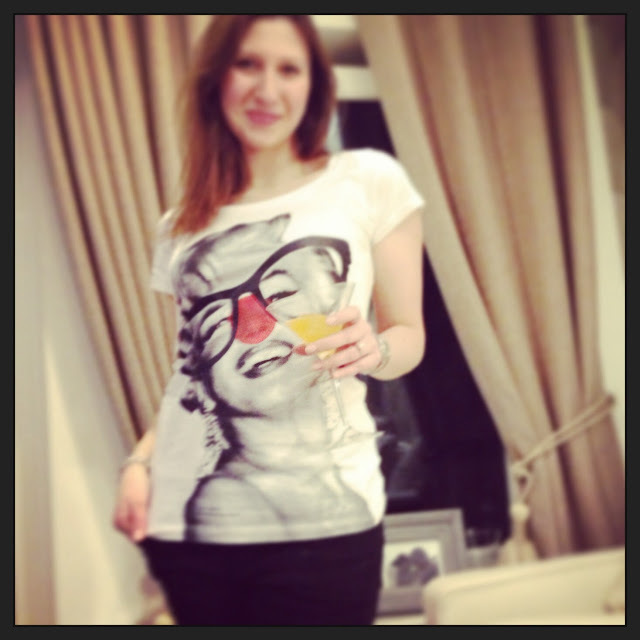 Now, you can't go to all this trouble, without the perfect attire...Stella McCartney special edition T-shirts for Red Nose day! How often are you prompted to "do something funny for money"? Red Nose Day is becoming a nice little tradition in modern day Britain and all you need to do is pick a way to raise funds for charity! You can bake, challenge, dare, entertain, sell or dress up. Comic relief is a charity that aims to help young people in Britain that battle issues with alcohol, abuse and mental health as well as young people living in conflict zones and slums abroad. From simply wearing a red nose for the day, to schools' bake sales, this is a great way to get stuck into pulling together for bettering people's lives. 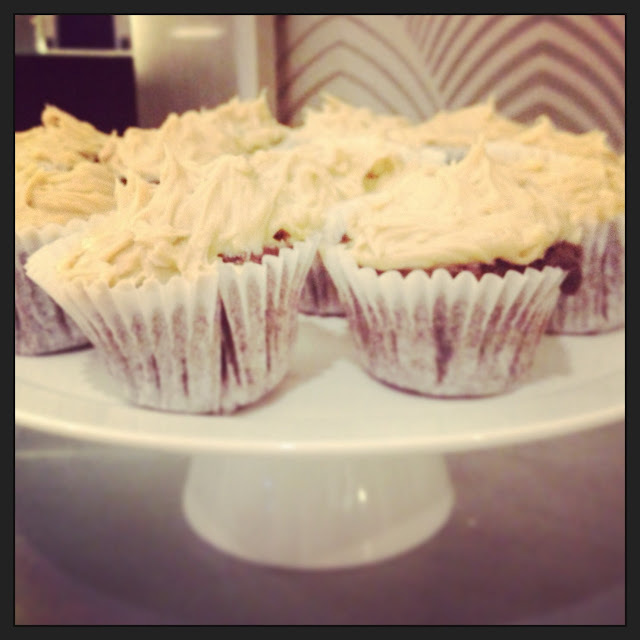 My forte is baking, so Ina Garten's Chocolate Cupcakes with Peanut Butter icing it is! Line a cupcake pan with paper liners and preheat the oven to 180C. Whisk the butter with the two kinds of sugars on high speed until light and fluffy, then add the eggs one at a time, as well as the vanilla essence. Add in the buttermilk, sour cream, and coffee and whisk until you have a smooth batter. In another bowl, sift together the flour, cocoa, baking soda, and salt. Using low speed, add the flour mixture slowly to the butter and cream mixture. 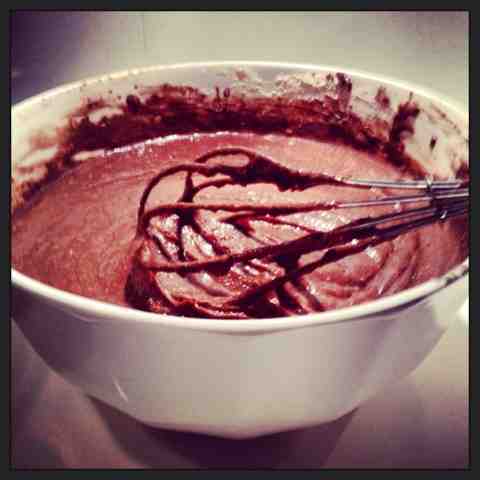 Fold the batter with a rubber spatula to be sure it's completely blended. The buttermilk makes the cupcakes rich, yet soft and fluffy! Divide the batter among the cupcake moulds. Bake in the oven on 180C for 20 to 25 minutes, until a toothpick comes out clean. Allow to cool completely before icing. Whisk the icing sugar, peanut butter, butter, vanilla essence, and salt in the bowl until creamy; you need to make sure that the sides of the bowl are clean and the mixture is light and smooth. Spread the icing on each of the cupcakes but do not smooth it down, let soft peaks form, for a rustic look. The cupcakes will not be very sweet but the icing will more than make up for it! This is not your everyday cupcake recipe; the buttermilk and cream upgrade it to luxurious and heavenly!